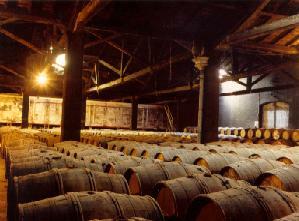 Cognac wines that have been used to elaborate the cognac of "Vicomte B. de Saulieu" come from the "Grande Champagne", the "Borderies" and the "Fins Bois" vineyards. They have been chosen among hundreds of others because of their refinement, their taste and their ramarquable savour. These different vineyards, that can be 20 years old has grown older in oak bole during 12 years for the youngest, and 20 years for the oldest. Indeed, the cognac from Vicomte B. de Saulieu has the guaranteed vintage X.O. (Extra Old), that warrants a creative ageing with an incomparable quality, a deep flavour and unforgetable savour nose.